I have written many times about the two little girls who live near me who visit every week. Their youngest sibling, three-year-old T., has now become a visitor. In fact, his mother told me the other day that he put on his socks and shoes and announced he was going over to see Miss Susan, and when she told him he couldn’t because I was busy, he had a fit. Ah, to be loved so much! Yesterday T. came over for his first visit all by himself, without his sisters for back-up. He absolutely adores playing with his little cars and trucks, but I told his mother not to send him over with his own because I had a little surprise for him. Cleaning out one of the guest room closets last week, I came across a plastic tub of my sons’ old metal Matchbox and Hot Wheels cars. When T. came over and I showed him the tub, his eyes got so big, I thought they would pop. The two of us sat and played with those cars on the back patio for an entire hour. I couldn’t believe how fast the time went. 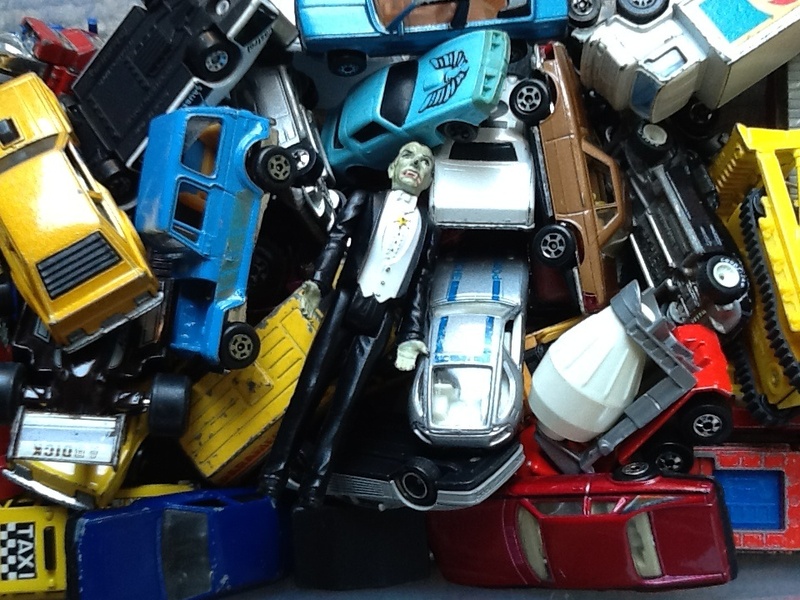 We also found, among the little metal cars, a plastic figure that had belonged to my sons. It was Count Dracula, and I used my best Dracula voice and made him the gas station attendant. Since T. had no idea who Dracula was, I’m sure he wondered at my Transylvania accent, but he got into the spirit of the play and made Dracula talk as well. His Dracula told the cars to play nice and stop crashing into each other. Not a Dracula I’m familiar with. Years in that coffin must have made him reconsider his nastiness. After we had been playing for awhile, I sat back and watched T. make his little screeching car noises and fire truck siren sounds and thought back to the two little boys whose cars these were. One is now a lawyer and financial compliance officer, and the other one is a neurogeneticist. They have not touched these cars in decades. And yet…and yet (excuse me, the pause was so I could wipe the tear out of my eye), if I were to bring them outside to my back patio and sit them down with T., I feel certain I would hear those little boy sounds tripled. When it was time for T. to go home, I knew he would have trouble leaving those cars behind, so I suggested he choose one to borrow. I asked him if he knew what borrowing meant. He assured me he did. I told him to choose just one, and he, of course, chose three. We compromised on two. As he held them in his little hands, I said, “Now whose cars are those?” He looked at them carefully and said, “Mine?” We need to work on vocabulary next time he visits. This entry was posted in Favorite posts, Just Blogging and tagged children, Hot Wheels, life, Matchbox, nostalgia, relationships. Bookmark the permalink. I finally found some time to work a little on the photo album. Besides my little buddies, tutoring, and yoga, HRW is taking all my time. After the conference, things will settle down. This little guy is adorable! He probably enjoyed some peace and quiet away from his sisters. I imagine “Madame President” treating him as her minion all day. I have no doubt that your “boys” would be right there too….T would be in heaven having them as big playmates! I heard from one of my sons about the post, and he really liked it and thought my little neighbor was very cute. I think he would have had a blast playing with him, as would my other son, too. Ooh, Mama, I would love to have those Legos for my little visitors. I wish my own grandchildren had lived close when they were little, but I’m so happy these three like to spend time with me. 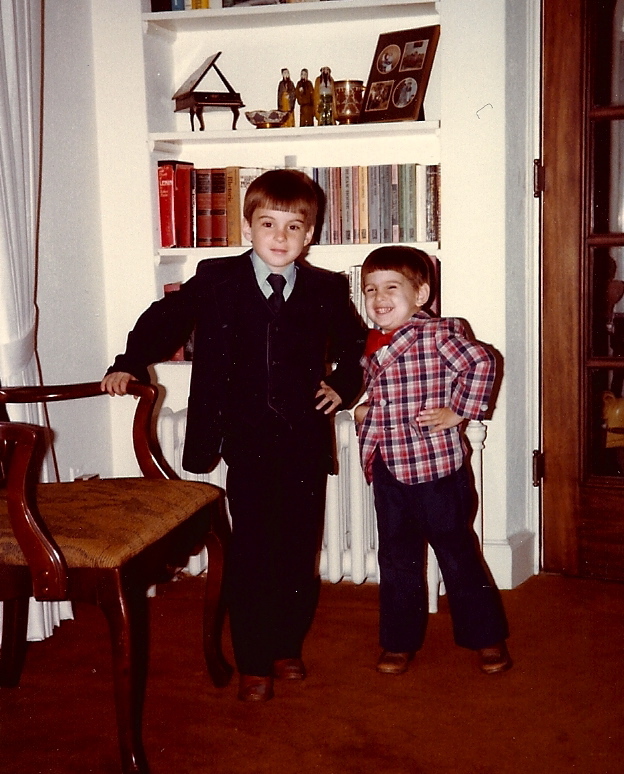 You saved their toy cars for this long… Your two little guys were so handsome, Susan! I think he’ll understand when I tell him he can’t have any more until I get the first two back! I am the mother of an 11 year old and this post made me tear-eyed! Sometimes I wish I could stop time and keep B at this age, especially after reading things like this. He still sometimes plays with his little cars and monster trucks. I think we might have to sit and play today to make me feel better! Haha, Ingy. I think you should sit and play cars with B, too! And take some pictures. I will! And I will try to post. I’m an old student from Mac 🙂 I love reading your blog and Emily’s! We’re you a friend of Emily’s? Do I know who you are? Do you have a blog? Where will you post the pictures so I can see them? I graduated in 1992, not sure you’d remember me. My name is Cory Covert Ingersoll and can find me on E’s Facebook. I worked at Laura Ashley with her long ago. I don’t have a blog, but have always thought about starting one. I remember your name, Cory. Blogging is a lot of work, but I love it. 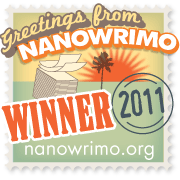 It keeps me writing and puts me in touch with so many terrific people. 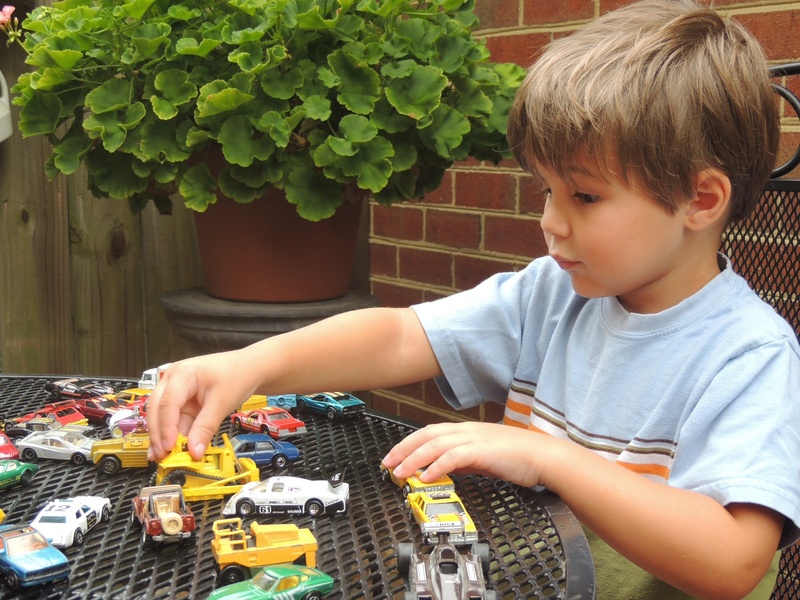 The mom of a neurogeneticist and lawyer needs to play with cars! Wonderful Susan, I heard your best Transylvanian “can I fill it up sir?” Love your stories. Hey, Gwen! So good to hear from you, and it makes me happy to know that you read my stories. We expect to see you and Gary here in the near future. your post reminds me so much of the family who lived next door to my former in-laws. they had a young son (age 4) who used to visit my mother-in-law like that and play with my former husband’s old wooden block set. how she looked forward to his little visits! Barbara has been deceased for many years now, but if she were here I’d send her this post….and I know she’d smile! And your comment made me smile, SHBG. Glad I made you think of Barbara. Love this! A few years back I gave my kids matchbox cars, legos, and various figures to a little neighborhood boy…you’d have thought it was Christmas morning (for him and me!). Since I have a grandnephew who is still a baby right now, I’m saving the cars to take our whenever he visits when he’s the right age. Then he will look forward to visiting his Aunt Susie and her toys. That Little T is adorable! I’m sure you were thinking about Marshall when you were reading this. Do you still have his cars? I still have my boys’ action figures like G.I. Joe and Star Wars.